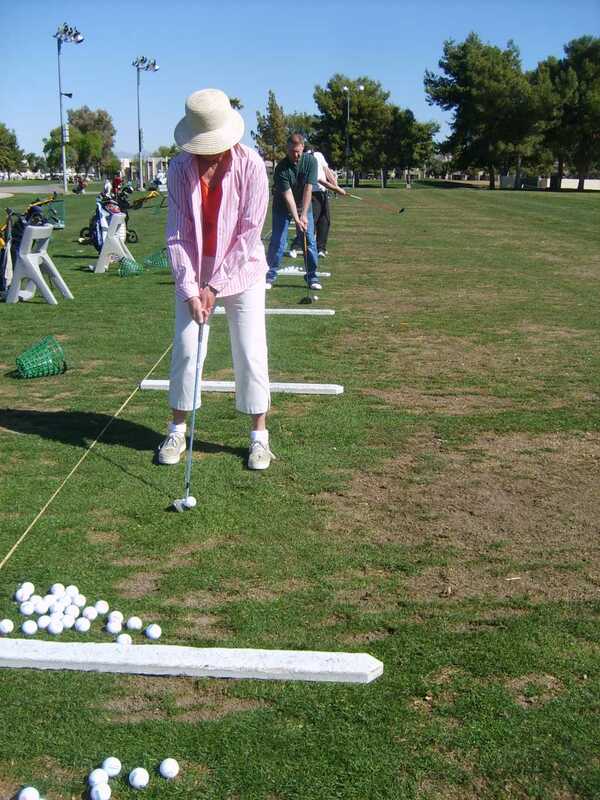 The golf swing lessons were full and they were turning people away. What to do? 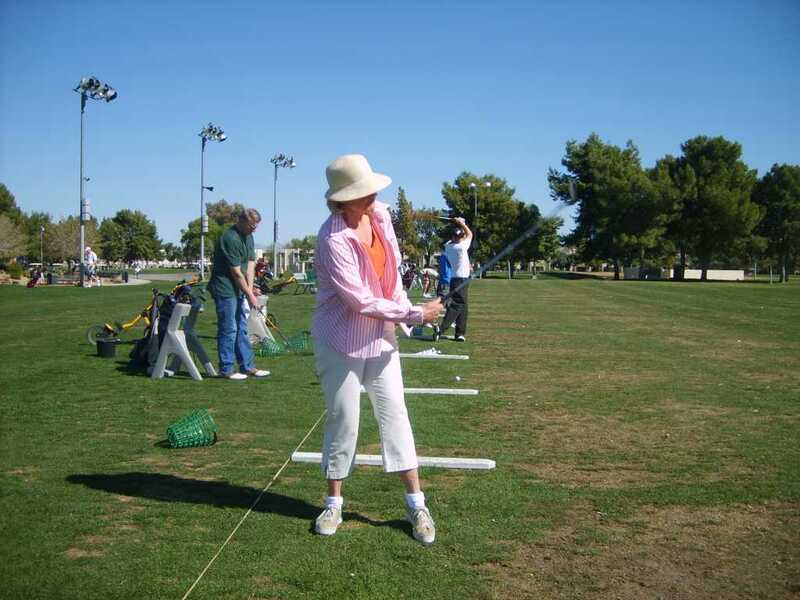 Aw, shucks, not to worry--we went to the Dobson ranch driving range. We practiced on the putting green and used our seven irons there. It was fun. Susun is getting a LOT better. She has really taken her brother's lessons to heart.